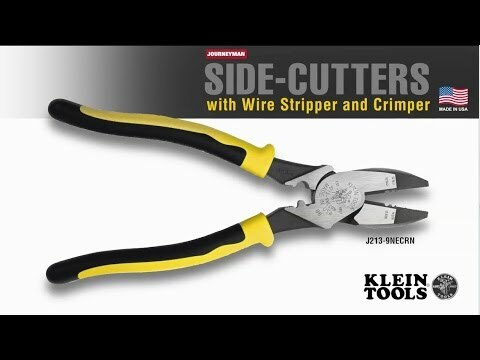 These high leverage side cutting pliers feature a crimper and wire stripping holes. Dual-material Journeyman handles provide a better grip without sacrificing tool strength and durability. Hot-riveted joint ensures smooth action and no handle wobble.